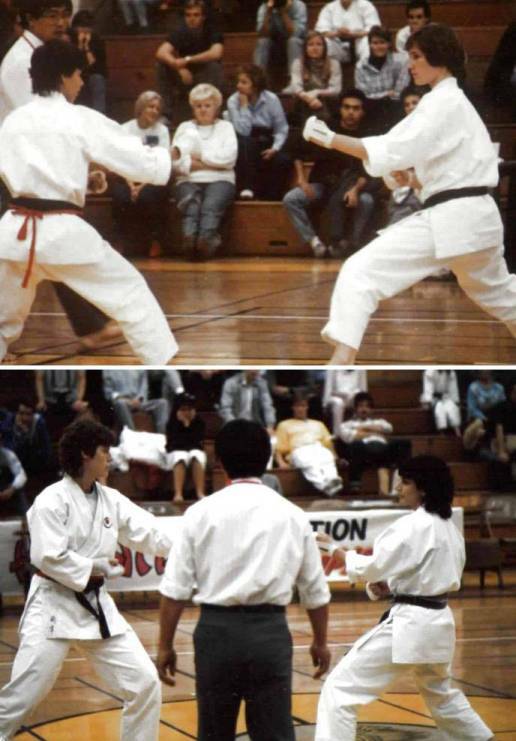 1988 AAKF National Championships, Lexington, South Carolina. Top right: Holly Danowski (5th place womens kumite). Bottom right: Matte Thomas (1st place womens kumite).